Luma LED strip lighting is a great addition to any truck, SUV or van. With a easy peel & stick 3M adhesive backing you can mount this light anywhere that has a flat surface! Different sizes are available including 12",24",39" and 60" which can also be trimmed in 2" increments to fit your application perfectly. Luma strip lights work great for things such as truck beds, utility bed cabinets, cab interior, boats or RVs. 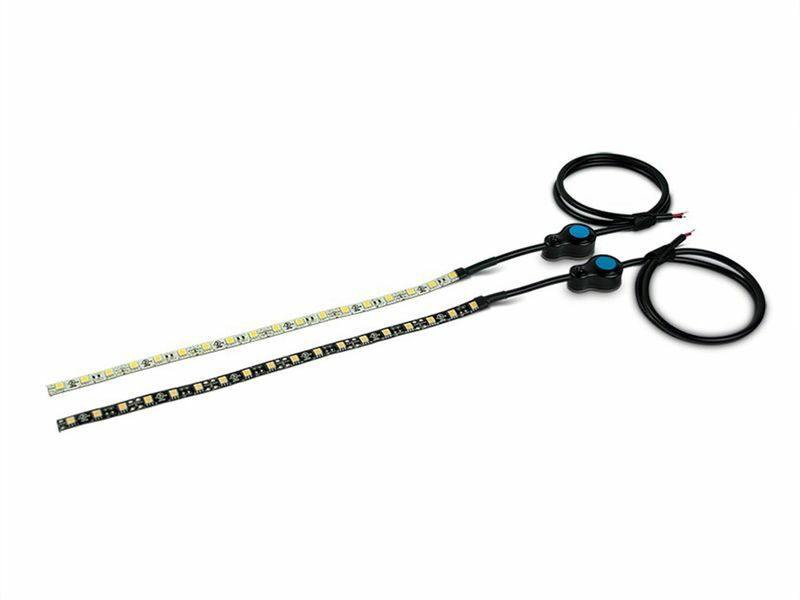 Each 12" of light strip provides 380 lumens which is all controlled by a waterproof in-line switch. It is as easy as peel and stick and attaching the power connector to a 12 volt DC power source. Luma LED Strip lights offer a 5 year from date of purchase. In this time frame, if the bulb fails due to defects in manufacturing, workmanship, or component failure, we will replace the bulb. Installation is as easy as peel and stick and plugging the power cord into a 12 volt power source.